This morning, the All-Party Parliamentary Group on Modern Languages launched its ‘Manifesto for Languages’, calling on “all political parties to make general election manifesto commitments to boost language learning”. 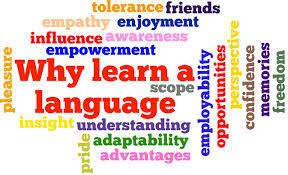 The call for stronger commitment to MFL teaching and learning is supported by many major businesses, organisations and universities whose role in improving British language skills is said to be crucial, and the manifesto calls for “a commitment to maintaining and developing UK expertise in modern languages and cultures in university language departments”. At the same time, the University Council of Modern Languages (UCML) is calling on all universities to make “a GCSE A*-C grade or equivalent in a modern foreign language a pre-requisite for admission to undergraduate programmes in any discipline” in order to contribute to the development of “global graduates”. One of the central tenets of the European Union is a free labour market which offers skilled individuals the mobility to move with demand. However, a new study shows that only 3% of EU citizens of working age live and work in a different EU country. One of the main reasons: the language trap. The report is based on figures collected by analysing postings on major online employment websites, by a survey of recruitment agencies specialising in language recruitment, and through interviews with employers in a variety of sectors. The numbers indicate that German and French are especially desirable due to the UK’s trade relationships with the two language areas. To give an example: Recruitment agencies reported that in the previous 12 months, German was the most requested language, with more than 1,500 jobs requiring German, about 25% of the total (p. 38). There is clear evidence that employers “view language skills as a strategically important recruitment target for a wide variety of purposes” (p. 45). Unfortunately, a number of interviewees lamented the lack of sufficient language skills among their prospective recruitees from the UK labour force: One respondent said that “[it] used to be very easy to find a German speaker, it’s dried up now and it is increasingly difficult” (p. 48). The report also clearly shows that, for most employers, UK graduates with language skills have ‘the edge’ over similar candidates without language skills (p. 50), and that employers especially value graduates who combine language skills with joint academic experience, for example in combination with law or finance: “[Studying] a subject at university such as ‘Law and French’ or ‘Economics and German’ puts you ahead because you’ll graduate with a combination of skills that not many other people have.” (Margaret Prythergch, Chief Assessor, Recruitment Strategy Team, Civil Service Capability Group, p. 51). Mulkerne, S. / Graham, A.M. (2011). Labour Market Intelligence on Languages and Intercultural Skills in Higher Education. Southhampton: UCML. Go to the UCML homepage for more information on this and related topics.